Am I Good Candidate for the Mommy Makeover? Home/Blog / Am I a Good Candidate for the Mommy Makeover? Although motherhood is one of the most rewarding gifts life has to offer, the effect pregnancy has on the body can leave many women with lowered self-esteem about the way they look. At Richmond Aesthetic Surgery, we are proud to offer mothers the chance to feel confident about their bodies again. 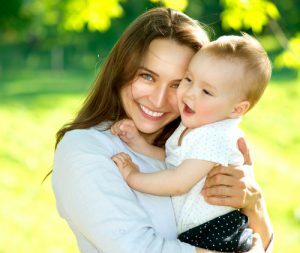 Through the mommy makeover procedure, Richmond Aesthetic Surgery has helped numerous women restore their pre-baby bodies and feel great about the skin they are in. A mommy makeover can be a combination of any of the following procedures: breast lift, breast augmentation, tummy tuck, or liposuction. Additionally, non-surgical options like laser skin resurfacing and cosmetic injectables are available for treatment. The procedure is recommended for those who are done having children and are no longer breast feeding. Should pregnancy occur following the procedure, these side effects may return. To learn if you are a good candidate for the mommy makeover procedure, please contact us to schedule your consultation.